Taylor received a huge surprise on Friday night in Los Angeles at Staples Center. 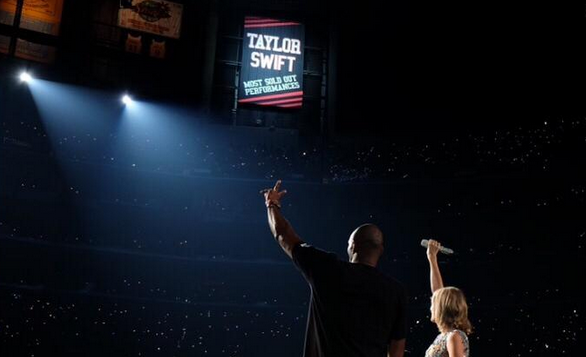 As she surprised fans with a guest appearance by LA Lakers own Kobe Bryant, he surprised Taylor with her own permanent championship banner for selling out more shows than any other artist. Friday, August 21 was the first of five shows at Staples Center for Taylor's 1989 World Tour, giving her a total of 16 sold out shows at the venue. The banner will be permanently displayed at Staples Center in LA.